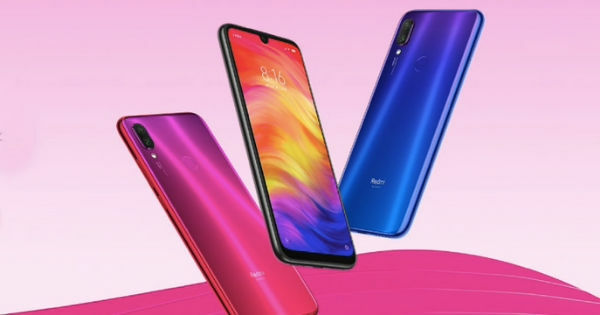 Xiaomi launched the Redmi Note 7 in China on January 10th with some really cool features such as the 48MP rear facing camera. The Note 7 is the successor to the Redmi Note 5 and features a better design with improved internals. It is also the first phone from Redmi to be launched after becoming an independent brand. Even before its launch, the phone was advertised to have a superior build quality. Now, the company has posted more videos that showcase how well built the phone is. In the first video, which is in slow-motion, the Redmi Note 7 is used to break open a walnut. The video was posted by Xiaomi’s President, which means that it is by all means legit. The walnut cracks easily, but nothing happens to the phone. It can also be noted that the slow-motion video looks to be recorded at 960fps using the Xiaomi Mi 8. You can check out the video over here. The second video is even more gruesome than the first one. In this video, the phone is used as roller skates. Some wheels are attached to the display side of the phone and fastened with duct tape. Then, the user places his foot on the phone and tapes the phone around it. He then tries to skate with this contraption, but isn’t very successful. After fooling about for a bit, he gets rid of the tape and shows that the phones are very much unscathed. In another video, the CEO of Redmi, Lu Weibing, places the phone inside a dust-bin and throws it down a flight of stairs. The bin is taped from the open side so that the phone doesn’t fly out. The phone fell from a height of 9 feet, tumbling down the steps. Once again, the phone is shown to be unharmed. In a recent tear-down, it was shown that the phone features watertight seals all around its ports, making it slightly waterproof. Xiaomi forgot to mention this during the launch event, but it is an important feature and is rarely found in phones in the same price segment.